Centrally located for easy access to the attractions of Napa and Sonoma Counties, Calistoga is 75 miles north of San Francisco, at the top of the Napa Valley. By air: If you’re planning to arrive by air, the nearest commercial airport is Charles M. Schulz-Sonoma County Airport (STS) in Santa Rosa; also serving the area are Oakland (OAK) , San Francisco (SFO) , and Sacramento (SMF) International Airports. The Napa County Airport (APC) in Napa can accommodate most private aircraft, including jets. Napa Valley Airporter offers shuttle service between Calistoga and Sonoma, San Francisco, Oakland, and Sacramento airports. Napa Airporter serves SFO, OAK and SMF. In town, the Calistoga Shuttle is an on-demand transit service, free to all registered hotel guests, that takes you from point to point in air-conditioned comfort. By car: Calistoga is at the intersection of California state highways 29 and 128. From US 101, take Highway 128 east from Geyserville to Highway 29; turn left and follow the signs to downtown. From US 80, take Highway 29 west from just north of the Carquinez Bridge to downtown. From US 505, take 128 west from Winters to Highway 29; turn right and follow the signs to downtown. Continue on Highway 29 (Lincoln Avenue) through downtown; make a diagonal left turn onto Wapoo Avenue. 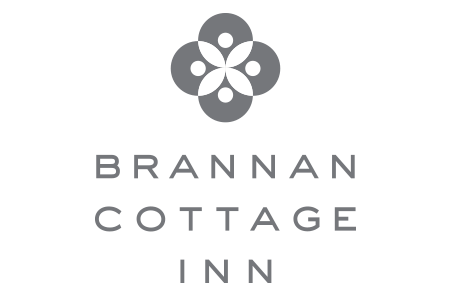 The Brannan Cottage Inn is at 109, on your left. Stay on top of upcoming events and special offers!